1. What are the main human blood group systems? In humans, the main blood group systems are the ABO system, the Rh system and the MN system. 2. Why is it important to determine the blood types of the donor and the recipient in transfusions? Red blood cells have different antigens in the outer surface of their plasma membrane; for example, the antigens A and B of the ABO system are glycoproteins of the membrane. If a donor has red blood cells with antigens not present in the red blood cells of the recipient (a lack of transfusion compatibility), the immune system of the recipient recognizes these molecules as actual antigens (or rather, foreign substances) and triggers a defense response, producing specific antibodies against those antigens. The transfused red blood cells are then destroyed by these antibodies and the recipient may even die. 3. What are the antigens and the respective antibodies of the ABO blood group system? The ABO blood system includes the erythrocytic antigens A and B that can be attacked by anti-A and anti-B antibodies. A and B antigens are agglutinogens and anti-A and anti-B antibodies are agglutinins. 4. What are the blood types of the ABO blood system? 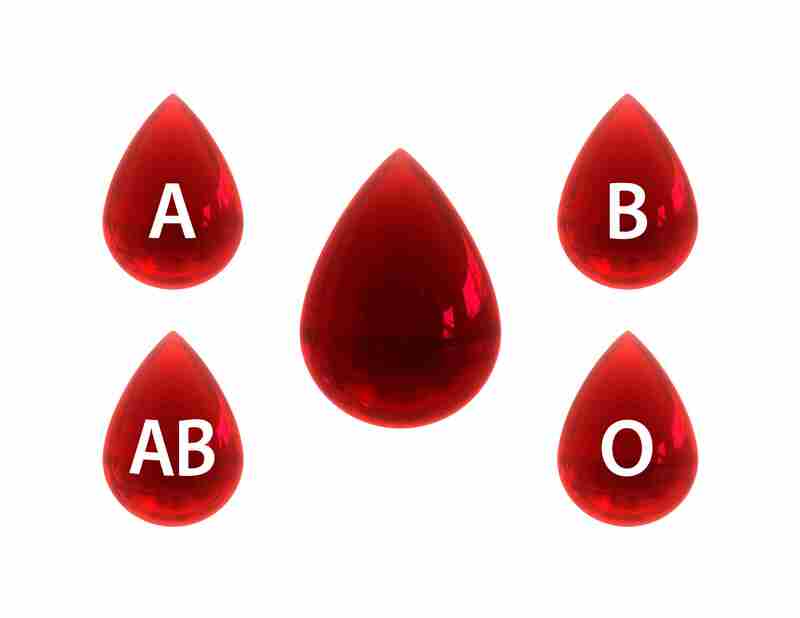 The blood types of the ABO blood system are type A, type B, the AB and type O. 5. What are the antigens and antibodies of each blood type of the ABO blood system? Type A: A antigen, anti-B antibody. Type B: B antigen, anti-A antibody. Type AB: A and B antigens, does not produce A or B antibodies. Type O: does not contain A or B antigen, has anti-A and anti-B antibodies. 6. What is the logic of the transfusion compatibility in the ABO blood group system? The transfusion compatibility for the ABO system takes into account the antigens present in the red blood cells of the donor and the antibodies that the recipient can produce. Whenever the recipient is not able to produce antibodies against antigens of the red blood cells of the donor, the transfusion is compatible. Therefore, regarding ABO compatibility, type A can donate to type A and to type AB. Type B can donate to type B and to type AB. Type AB can donate only to type AB. Type O can donate to all ABO types. 7. What are universal donors and universal recipients in the ABO blood system? Universals donors of the ABO blood type system are the individuals of the type O. Type O blood does not have A or B antigen in its red blood cells and can be donated to individuals of any ABO type. Universal recipients of the ABO blood type system are the individuals of type AB. Type AB blood does not contain anti-A or anti-B antibodies and people of this group can receive blood from any of the ABO types. 8. What type of genetic inheritance determines the ABO blood group system? What are the relations of dominance among the involved alleles? The inheritance of the ABO blood system is a form of multiple alleles inheritance. There are three alleles involved, IA, IB and i which combine in pairs to form the genotypes. Concerning dominance, the allele i is recessive in relation to the alleles IA and IB. Between IA and IB, however, a lack of dominance is established and the heterozygous pair (IAIB) has its own distinct phenotype. 9. What are the genotypes and respective blood types of the ABO system? Since the alleles are IA, IB and i, the possible genotypes are IAIA or IAi (blood type A), IAIB (blood type AB), IBIB or IBi (blood type B) and ii (blood type O). 10. Is it possible investigate natural paternity, maternity or brotherhood and sisterhood using ABO blood typing? By using ABO blood typing, it is only possible to exclude paternity, maternity or brotherhood/sisterhood. but it is not possible to come to positive conclusions about these relationships. For example, if an individual has type O blood, ii genotype, he or she cannot have biological parents of the type AB (IAIB genotype), since one of his/her alleles has necessarily come from the father and the other from the mother. Another example: a couple of individuals of the type O (ii) in turn can only generate direct offspring of type O blood, since they do not have alleles that condition antigen A nor antigen B. 11. Is ABO blood compatibility enough for the safety of blood transfusion? Besides ABO blood compatibility, the compatibility of the Rh blood system must also be checked. In addition, it is of fundamental importance for the safety of blood transfusion to perform tests to detect the agents of the main blood-transmitted infectious diseases, such as HIV (AIDS), hepatitis B and C, syphilis, Chagas disease, etc. 12. What is the Rh factor? The Rh factor is a protein in the red blood cell plasma membrane that behaves like an antigen in blood transfusions, triggering a humoral (antibody-based) immune response. Most people present the protein in their red blood cells and are part of the Rh+ group. People that do not have the protein classify as Rh-. The origin of the name Rh factor is related to the fact that the research that discovered this blood antigen was carried out in rhesus monkeys (Macaca mulatta). 13. How are antibodies against the Rh factor formed? Anti-Rh antibodies are produced by a humoral immune response. When an Rh- individual comes into contact with the Rh factor, it is recognized as foreign agent (antigen); the primary immune response begins and small amounts of anti-Rh antibodies and memory B lymphocytes are produced. In future contact with the antigen, antibodies will already be circulating, and memory immune cells will be prepared to carry out an intense and effective attack against the Rh factor. 14. What is blood typing? Blood typing is the determination, by means of tests, of the classification of a blood sample in terms of blood group systems (especially the ABO system and the Rh system). 15. How is blood typing for the ABO system and the Rh usually done? In blood typing for the ABO system and the Rh system, a blood sample is collected from the person and three small volumes of the sample are separated and dispersed on glass laminae (slides). On the first lamina, a serum containing anti-A antibody is applied; on the second lamina, a serum containing anti-B antibody is applied; on the third lamina, a serum with anti-RH antibody is applied. If no agglutination reaction takes place in any of the laminae, the blood is of type O- (universal donor); if agglutination occurs only in the first lamina the blood is type A-; and so on. There are other methods of blood typing. Blood typing must be performed by qualified technicians. 16. What are the inheritance and dominance patterns of the Rh blood system? The inheritance pattern of the Rh blood system is autosomal dominant, meaning that the heterozygous individual is Rh+. The dominance is complete (R is dominant over r). The possible genotypes are RR, Rr (both Rh+) and rr (Rh-). Interesting fact: the Rh factor is codified by a gene containing 2790 DNA nucleotides located on the human chromosome 1. 17. What is the logic of the transfusion compatibility concerning the Rh blood group system? An Rh+ donor can only donate blood to an Rh+ recipient. A person that lacks the Rh factor (Rh-) can donate to individuals in both the Rh+ and Rh- groups. 18. What are the Rh groups of the mother and fetus in hemolytic disease of the newborn? In hemolytic disease of the newborn, the mother is Rh- and the fetus Rh+. In this disease, antibodies produced by the mother attack fetal red blood cells. Hemolytic disease of the newborn is also known as erythroblastosis fetalis. 19. How does the immune process that causes hemolytic disease of the newborn take place? In hemolytic disease of the newborn, the mother has Rh- blood. This mother, when pregnant with first Rh+ child, comes into contact, possibly during delivery, with Rh+ red blood cells from the child and her immune system triggers the primary immune response against the Rh factor. In her next pregnanc, in which the fetus is Rh+, the mother will already have much more anti-Rh antibodies in her blod and these antibodies cross the placental barrier and enter fetal circulation, causing fetal hemolysis (destruction of the red blood cells of the fetus). 20. How can hemolytic disease of the newborn be prevented? Erythroblastosis fetalis can be prevented if, during the first delivery of a Rh+ child from a Rh- mother, serum containing anti-Rh antibodies is given to the mother in the first 72 hours (after delivery). As result, the administered anti-Rh antibodies destroy the fetal red blood cells that entered the mother’s circulation before her primary immune response is triggered. 21. What is the MN blood system? What is the pattern of genetic inheritance of the MN blood system? The MN blood system is a third (in addition to the ABO and the Rh) system of blood antigens, which is also related to proteins in the red blood cell plasma membrane. The inheritance pattern of the MN blood system is autosomal with codominance, a type of lack of dominance in which the heterozygous individual manifests a phenotype totally distinct from that of the homozygous individual. The possible phenotypical forms are three blood types: type M blood, type N blood and type MN blood. Study the next subject: go to Genetic Diseases.